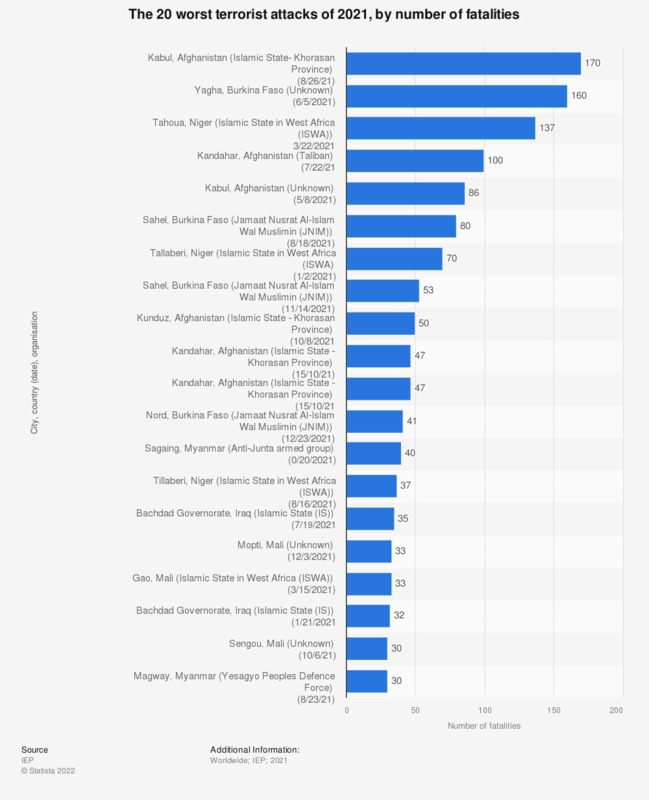 The statistic shows the 20 worst terrorist attacks of 2017, by number of fatalities. The worst terrorist attack in 2017 occurred on October 14, 2017, was carried out by Al-Shabaab in Mogadishu, Somalia, and caused 588 fatalities. How afraid are you of ISIS? Do you agree that Canada should do everything possible to prevent ISIS from forming a state, including putting soldiers on the ground in Iraq and Syria? Which of the following do you consider a major threat to your country?